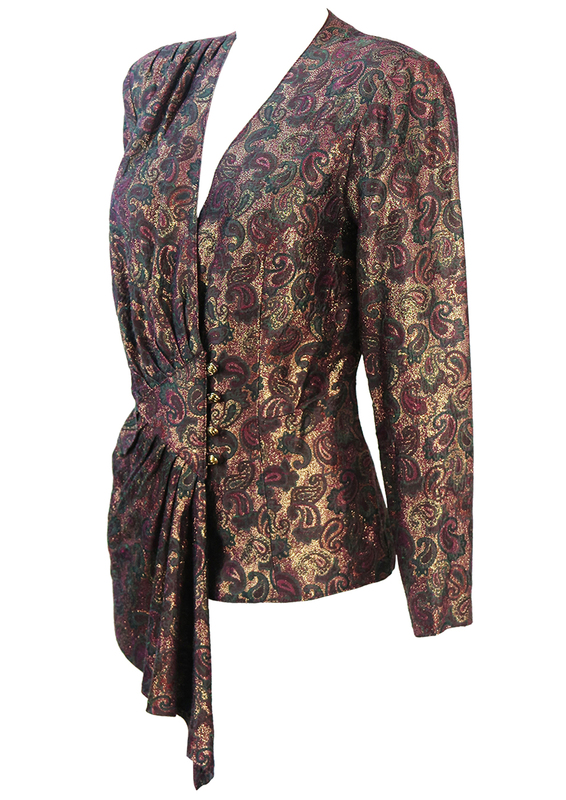 Stunning shimmery evening jacket with a two tone almost tonic-like colourway of metallic gold and purple featuring an intricate paisley pattern in purple and green. Design features include a triangular shaped central panel with gold button fastenings, to the left of which is a longer asymmetric layer of fabric that drapes with elegant pleat detail. The jacket, which has been tailor made, is lightweight and we feel would work equally well worn as an evening top. 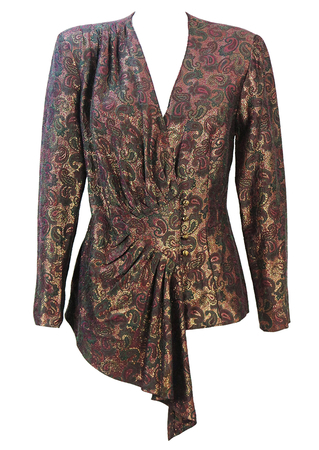 The shoulders have shoulder pads, which if required, can be easily removed. 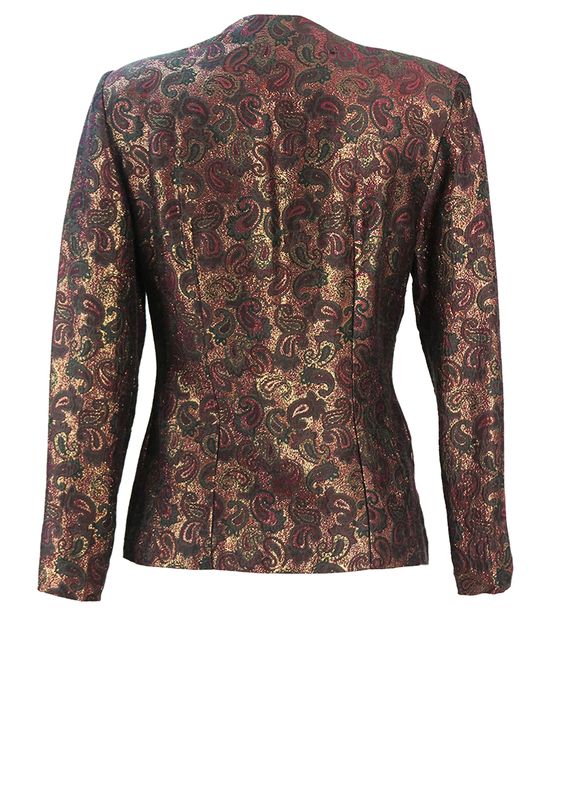 Although there is no fabric label, the jacket has a cotton/part man made feel to it and is in excellent condition. Back – 26", Front – 34.5"